46 000 Pageviews but just 7 Sales | AliExpress drop shipping forum – expert drop shipping community! Hello guys, I have an online store for a month, 7000 users were on the site, and 46 000 pageviews, but only 7 sales. If you can look at the site and advise on what needs to be changed, I would be very grateful to you. Here is the site Actaviss. Its a nice theme But your site look little messy. Make it look easy to eyes and elegant. From where these 46k traffic is coming? Thank you for your advice and quick response. I'll fix it. Traffic comes from an Instagram. I have several profiles for fashion. I advertise with coupon codes for 10% discount. A few days ago I installed Facebook pixels on the site, so I will try to advertise on Facebook. I've read on the forums that average conversion rate is 1%, and I have 0.1%, so something is wrong. I launched a store 5 days ago with only one product with two upsells. Total traffic i generated is around 2000 and out of them 600 bought the product. 46,0000 traffic and only 7 sales is too bad. Figure out Stuffs. Make your site look good first of all. Whaaat? 2000 traffic and 600 sales? That's awesome. What is your secret? How do you advertise? They all were my existing customers. I have custom Audiences on fb of who are my existing customers. That's a very good recommendation. When you take and use a built-in theme it does not mean that you must use it as it is. There is a Customization menu where you can edit texts and other elements according to your needs and different requirements. 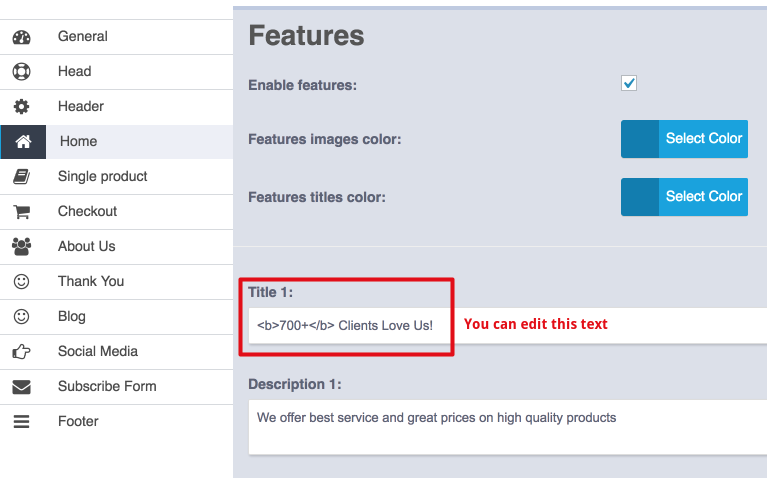 "700+ Clients Love Us!" (that is mentioned on the template) is a good example. I did not have any troubles with this kind of text when I applied for Stripe account. But now, when AliDropship users are trying to apply for other payment gateways (for instance PayLike) they are not approved because of this text on their stores. As a result we get complaints that our themes are not designed properly to meet requirements of popular payment processing companies. Just enter Customization menu and change it the way it should work for you. I forgot to mention that I had 150 pageviews on checkout and only 7 sales. And the last two days I had 4 pageviews on checkout and 3 sales. Statistics are now improving. I've changed many things, and I still have a lot to change. You'll have lot of sales the more you'll work on your site foundation and layouts. Which analytical plugin are you using? Are you running ads also? Google Analytics. Not yet, I installed Facebook pixels on site a few days ago, but I'm waiting for more audiences. How do you advertise? Do you have any advertising tips? fb ads are enough for the beginners imo.. just see few training videos and you are good to go. remember testing is the only thing. test as much as you can to find your winning product. Testing many ads will burn your pocket. Thats a generic sentence every so called marketer is saying "Test and test and find your winning ad"
How did you know then that your site had 7 visits? Or 46000 visits in the first place?